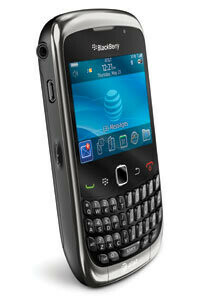 AT&T customers might be chomping down on the latest flagship handset from RIM's camp with the BlackBerry Torch 9800, but there are two additional smartphones that will be supplementing RIM's presence on the carrier's lineup. First up is the BlackBerry Pearl 3G which has been missing in action in the US market up until now as AT&T is set to launch this candy-bar style handset starting on October 17th with the instant 2-year contract price of $99.99. On the other hand, the BlackBerry Curve 3G 9300 will finally bring some much needed current data network speeds to AT&T's Curve line – which has been stuck on 2G surfing for some time. Unfortunately, customers will have to wait a bit longer for this one since its exact release date is unspecified at the moment. However, it looks like it'll be here just in time for the holidays – meaning, it can potentially go live on December 25th. 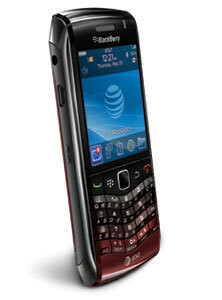 As for pricing, the BlackBerry Curve 3G 9300 will be set for $149.99 with a 2-year agreement. Regardless, AT&T customers will surely have the pick of the litter when it comes down to BlackBerry smartphones this holiday season.